#mfamilyfridays Family Movie Night Ideas :: The Incredibles | the every things. Another fun themed family movie night! 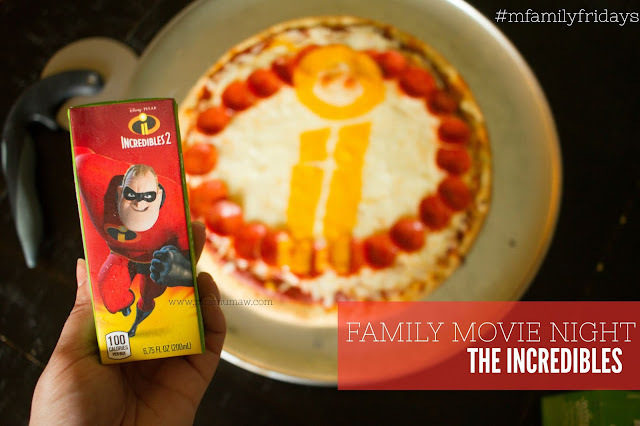 With the release of Incredibles 2, on June 15th I decided the first Incredibles would be the perfect movie for our movie night this weekend! 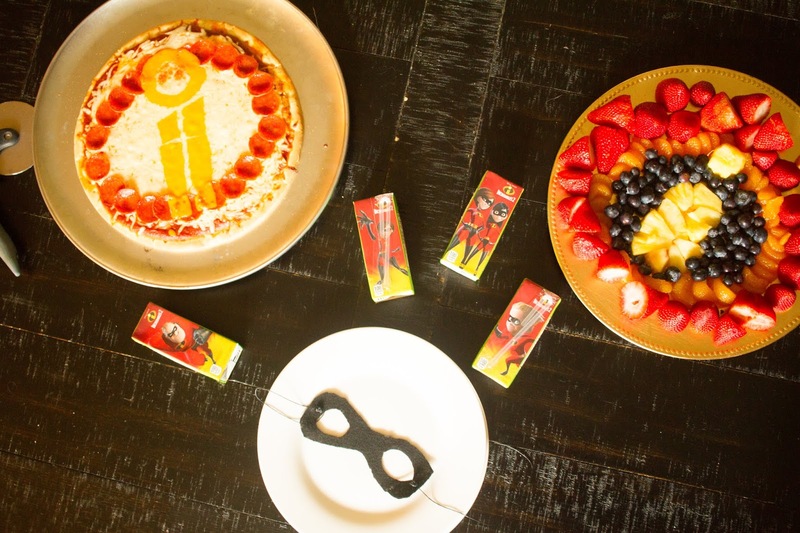 I was a little low on creativity this one, but we still loved it! 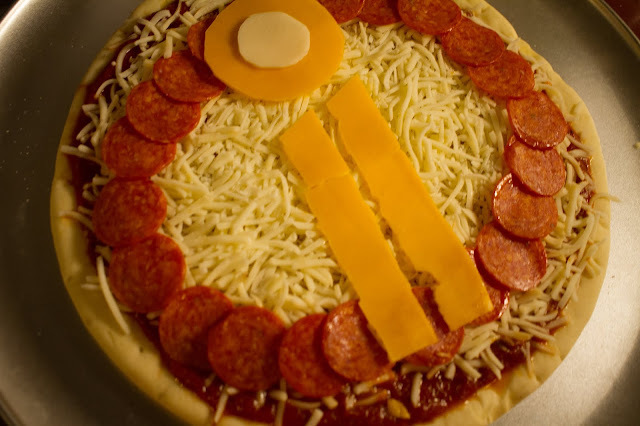 First off, Pizza! 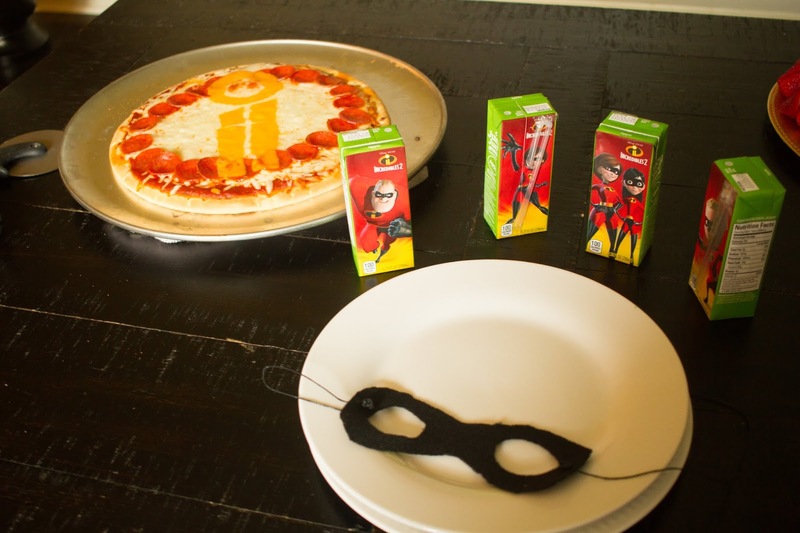 We generally always make homemade pizza on movie night. 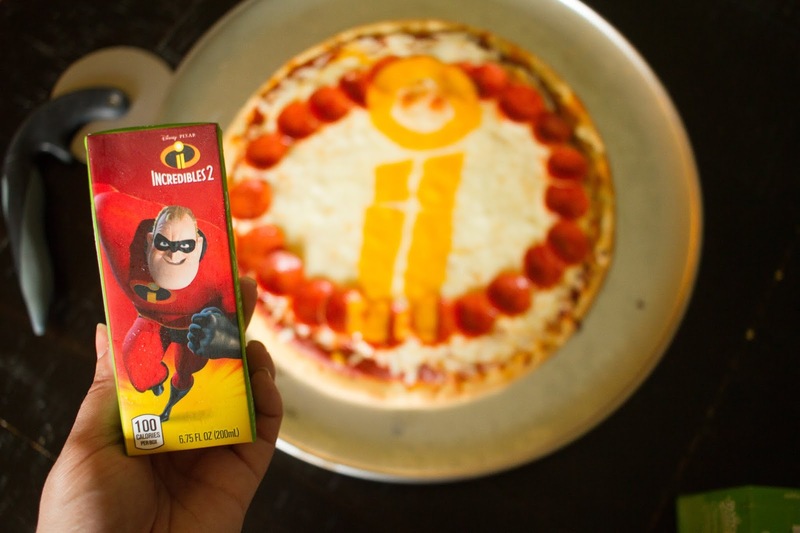 But I can never get it in a perfect circle so bought some pre made pizza doughs this time & used the toppings to make the "I" icon for The Incredibles! It turned out pefect! The grocery had these Juicy Juice, juice boxes & they were perfect!! I was afraid the icon would get all messed up after it was cooked, but look!! How perfect right?! 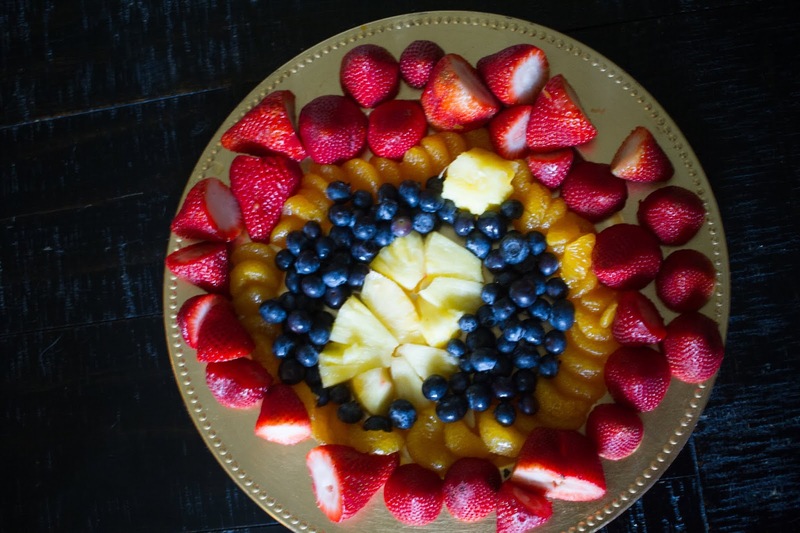 I also attempted to make this fruit platter I saw on Pintrest.. obvi was a huge fail! HA! & there you have it, for a simple Incredible Movie night! !